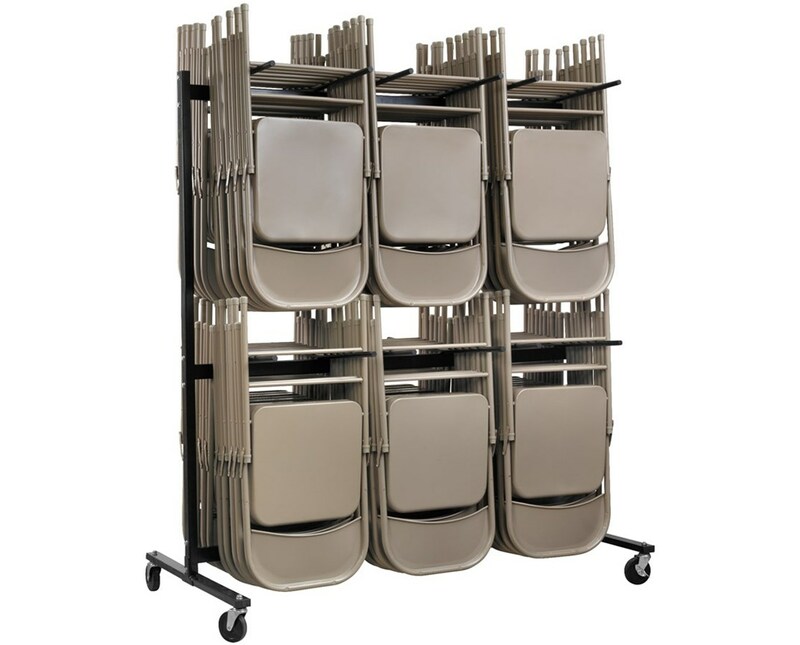 The AdirOffice Two Tier Chair Cart is a perfect tool for storing and transporting folding chairs. 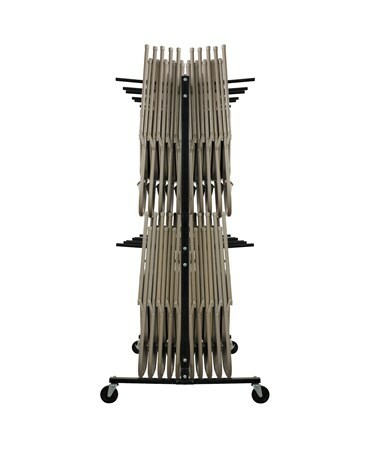 A maximum of 84 metal or plastic chairs can be carried on both sides of this cart. The four 4-inch swivel caster wheels that float freely, work effectively when moving the cart through doorways and other tight spaces. This folding chair cart has a maximum weight capacity of 1,000 lbs. 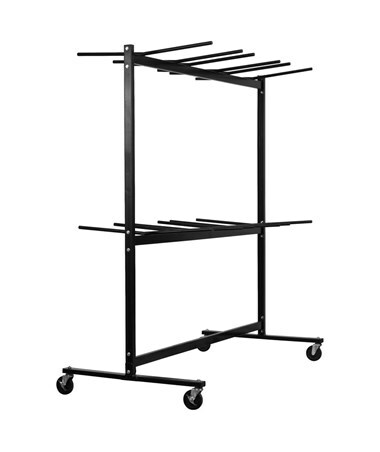 Its arms or hanging bars of this cart are slightly angled to provide a secure fit while chairs suspended to minimize movement and sliding. The 4-inch wheels of the cart are made from thermoplastic rubber that provides easy movement and traction. 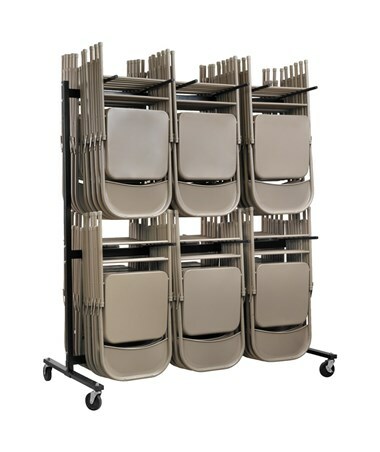 This chair storage tool’s frame is made from high-quality steel which makes it durable. It also has a black powder coated finish.